A record-breaking regular season, more games between SKA and CSKA, a cascade of derbies, games in Europe, and a new scheme for playoffs. KHL.ru explains all the details of the new season’s calendar. For its whole existence, the Kontinental Hockey League fought to have a bigger number of regular-season games. Many things impeded the way to a long and balanced regular season, not only Team Russia and the international calendar as a whole, but also the teams themselves. Most of the teams don’t fully control the arenas they play in; thus, they have to maneuver between concerts, Christmas parties, and other events. However, starting from the 2014/2015 season, the calendar curators managed to get to 60 games in the regular season. 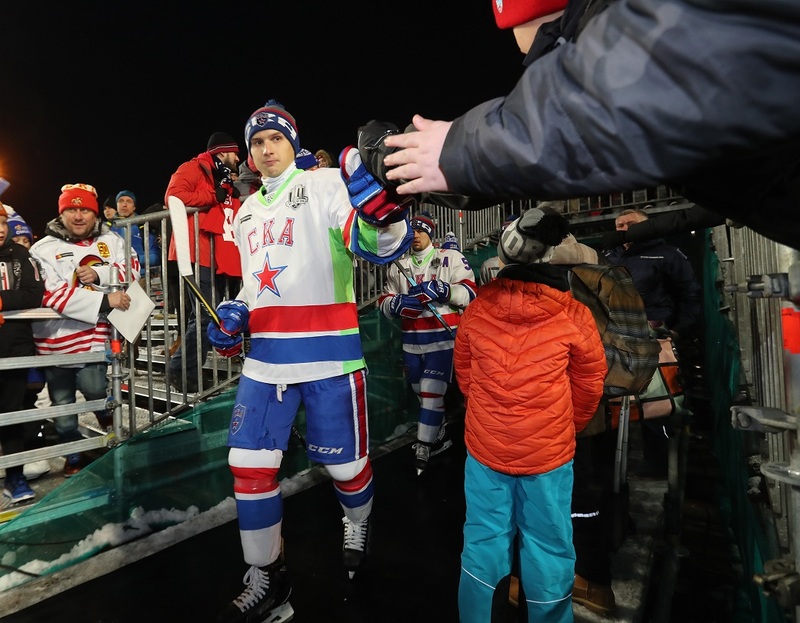 The league had such a high quantity of games for three years, however, last year had to be shortened to 56 games to allow for Team Russia’s preparation to the Olympic Games. After the Russian triumph in South Korea, the KHL didn’t limit itself to get back to the old condition but managed to score a new record. In the 2018/2019 season, each team will play 62 games. This result has been achieved adding 10-12 games against division rivals to the natural 48 games played against each other team and a further four games against rivals from other divisions. The 2019 IIHF World Championship in Slovakia will start a bit later than usual, on May 10. The one-week shift may have helped in prolonging the KHL regular season, but the FHR decided to keep the already concorded plans. As a result, as already planned, the regular season will end on February 22. However, the situation isn’t as easy with the Euro Hockey Tour pauses. In November, time for the Karjala Cup in Finland, three games will be played the day before the start of the tournament. And the next day after the Cup’s finish, eight games are scheduled, including SKA – Avtomobilist. A similar situation regards the Channel One Cup. This time, just one day before the start of the showdown in Moscow, Jokerit and Salavat Yulaev will battle in Helsinki, and after the end of the tournament, Vityaz will face CSKA. Just after the end of the Swedish Hockey Games, both Army clubs will be busy, and the teams will most likely have many national team players. On one hand, the KHL respected the FHR’s wish and kept the pauses for the Euro Hockey Tour. On the other hand, the league managed to create hockey Mondays. From now on, the league play won’t be stopped without a good reason. And the teams themselves will need to take a decision: either play the just-returned players or rotate the rosters and trust the younger players. In Russian hockey, the word “Summer” is traditionally tied with pre-season tournaments. A little bit like the old “Spring football”, as the less interesting games at the start of Spring. In any case, “Summer hockey” is a bit of a nonsense. How is it possible to play a true winter sport when it’s +85°F (+30°C) outside and the fug turns around the ice? We had to face it in the KHL in the latest three seasons, as the regular season started in August. And not only: it was getting earlier and earlier with each year, as we had August 24, August 22, and August 21 starts. Starting from September 7, 2011, the day of the plane crash over the Tunoshna airport with Lokomotiv Yaroslavl players, coaches, and personnel on board, the KHL calendar played no game that day. Everyone knew why on the seventh day of September the main hockey rinks of the country were silent. However, for this year’s calendar, seven games are scheduled for September 7. Hockey games will be played in Kazan, Nizhnekamsk, Nizhny Novgorod, Moscow, Sochi, and Helsinki. But not in Yaroslavl. For the city that lost their beloved team, September 7 will stay the Memorial Day, where people will not attend Arena 2000, but the cemetery where their idols rest. In spite of the mixed reaction to the decision, the Railwaymen supported the League’s decision. Moreover, as teams will play in other cities, fans of other teams will have a chance to visit the players’ Memorials. Starting from next season, two Moscow teams will call home a new place. CSKA will play at the VTB Ice Palace for the next five years, moving from the arena on Leningradsky boulevard. HC Dynamo is waiting for the completion of their new arena at the Petrovsky Park. If for the Blue-Whites this will means the chance not to share their home rinks with other teams, CSKA will finally play in a modern arena. The CSKA Ice Palace is outdated and can’t keep up with the team’s development process. From now on, the Red Army can call their fans to a modern, comfortable arena with a convenient location and an ample parking lot. Naturally, CSKA’s move to another arena is a plus for the League as well, as it will get a higher attendance and a higher number of games with high-quality broadcasts. However, it was this situation with CSKA and HC Dynamo that didn’t allow the League to publish the new season’s calendar on time. CSKA and Spartak will have to share the Legends Park arena, and thus can’t play at home on the same day, but also every other day. The Blue-Whites will be able to move to the arena at Petrovsky Park only for the New Year, and in the meantime, they will play at the Megasport arena. That’s why HC Dynamo will have a six-game away trip and will end the regular season with eleven straight games at home. 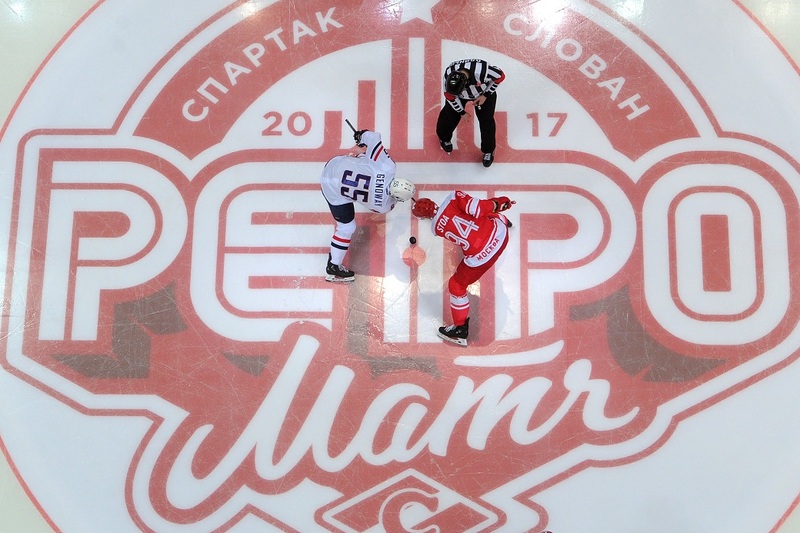 Another novelty of the 2018/2019 KHL calendar are games played abroad. Last year the KHL had its first open-air games and this year the fans will have a chance to attend games in new cities. If the KHL already played in Tallinn, where Jokerit will play against Spartak (on October 26) and Severstal (October 28), Vienna and Zurich are new territories for the league. In the Austrian capital, Slovan will play two games (on October 26 against CSKA and on October 28 against SKA), and their fans won’t have a hard time in reaching Vienna. Dinamo Riga will meet the same opponents (on November 26 and 28) in Switzerland, where the KHL will have to win the attention of the local fans against a strong local league. It’s interesting to note that Dinamo Riga, just as SKA, represented the league in the 2010 exhibition games against NHL teams. The Hallenstadion Zurich can host 11,200 spectators, while the Vienna arena has a capacity of 7,022 fans. Jokerit’s games in Tallinn can be attended by a maximum of 5,840 people. The Latvian team will not only play twice in Zurich but also the traditional open-air game. Last year the KHL had two such games, even if in different formats, played in Riga and Helsinki. In spite of the North American traditions, the teams didn’t try to beat the attendance record, even if the Helsinki Ice Challenge between Jokerit and SKA had 10,554 spectators. In Riga, instead of an attendance record, the fans had a great game and a comfortable hockey party. In the next season, there may be another open-ice game between Dinamo Riga and Dinamo Minsk. The Belarusian team will visit Riga on February 15 and that would be a great date, considering the city’s climate. But that’s not the only variant. Such a game may be played also against Slovan as it’s another European team. The Slovaks will get to Riga three days later, on February 18. No matter the opposition, the open-air game will become a true tradition and no fan will leave it disappointed. If the tradition of the open-air games has just started, vintage games are a well-established practice in the league’s calendar. Especially for Spartak Moscow, who organize such games since 2015. Other than vintage jerseys, which are used by many teams anyways, the Red-Whites equip the whole arena, both inside and outside, to create a unique event. Even the broadcast is in vintage style and with the participation of special guests and analysts. 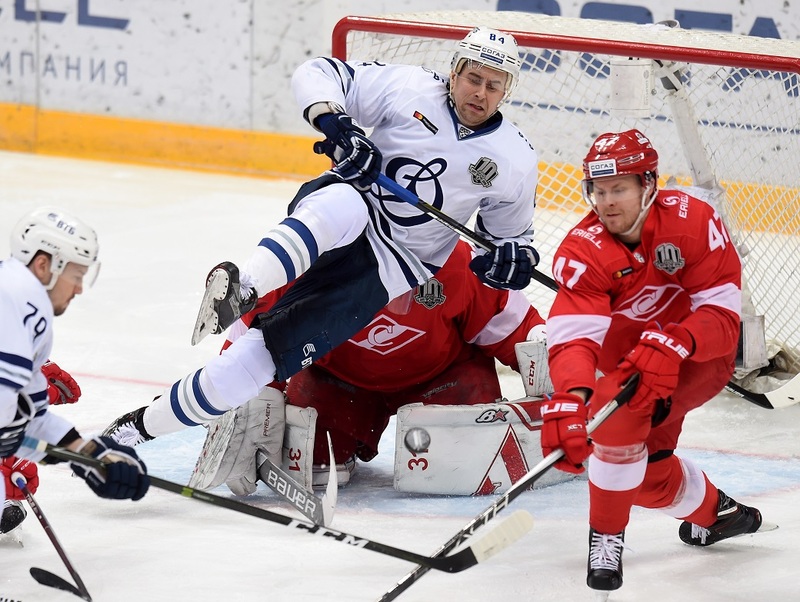 The game against HC Sochi on December 22 – on Spartak’s birthday – will become the fourth vintage game in a row. This time, Spartak will play in 90s style, but all the rest will be a surprise for the fans. Moreover, on November 24, Traktor will celebrate their birthday with another vintage game. The opponents will be Torpedo Nizhny Novgorod. Also, Traktor has a good experience in organizing this kind of games. 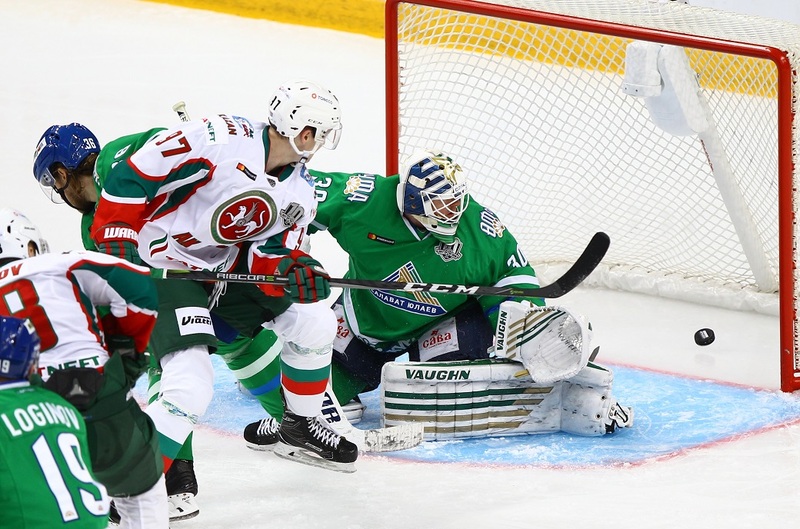 The two Army teams were selected by the KHL direction to play the League’s games in Europe. CSKA and SKA are the top teams of the latest few years: either team plays in the Gagarin Cup finals for the latest four straight seasons and won all the same-period Continental Cups. Moreover, most of the Team Russia roster at the latest Olympic Games in South Korea came from these two teams. Not many people allow themselves to dispute the fact that most of the KHL top players play in either Army team. However, the paradox was that in the jubilee KHL season the teams played against each other only twice. In part, the deficit of games was compensated by the eventual playoffs series, but what if one of the teams didn’t make it to the Conference Finals? It was definitely necessary to close this gap. CSKA and SKA will play four games against each other. The first game is scheduled for October 21 in St. Petersburg, while SKA will visit Moscow two weeks later, on November 5. The other two games between the Western Conference favorites will be played on November 24 and December 22. After Christmas, the two teams can face again only in the playoffs. 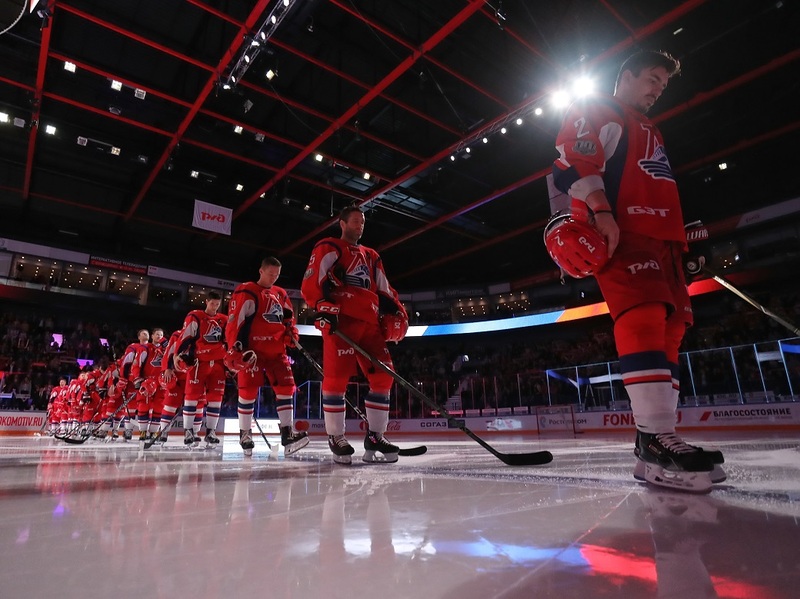 The battle between CSKA and SKA is not the only rivalry the League is counting on to increase the attention of the fans. In spite of the fact that Ak Bars and Salavat Yulaev are in two different divisions, in the regular season they will face each other four times again. The Green Derby is an important rivalry in the KHL and it’s important to use this battle at its maximum. The fans will be able to enjoy similar rivalries with extra games between Sibir Novosibirsk and Avangard Omsk, while the Far East teams Amur and Admiral will play each other five times. Additionally, the last regular season day will feature several derbies. Admiral will face Amur, Avangard will battle Sibir, and two days earlier the fans will have a chance to enjoy the last Green Derby of the regular season. The end of the regular season is always an exciting time and having those rivalries games will make the thrill even more exciting. Just imagine if Amur and Admiral will have to fight for a spot in the playoffs in the very last game at the Fetisov Arena! Perhaps, the biggest achievement of the new calendar is the new formula for the playoffs schedule. If it’s more comfortable for teams and broadcasters, then it must be better for fans too. First of all, the League got rid of back-to-back playoffs games, used for the first two rounds last year, with enough time to rest only from the Conference finals and going on. Now the players will have bigger chances to rest and will thus show a better hockey. Moreover, starting from the 2019 playoffs fans will have a chance to see playoff games with both conferences playing in the same day. In one day there won’t be four games from the same conference, but two games from the Eastern and two games from the Western Conference. Why this decision? First of all, the fans will have a chance to be able to watch more games: the different time zones between Eastern and Western teams will allow for a wider distribution of games and more live broadcasts. The only exceptions will be Ak Bars Kazan and Torpedo Nizhny Novgorod, which are both in Moscow time.